Are you trying to build or improve your credit score? If you are you’re not alone. There are a number of things you can do to improve your score, such as paying your bills on time and disputing negative items on your credit report. Another way you can help to build up your credit is through a secured credit card. 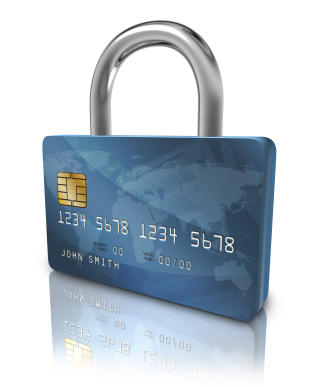 Secured credit cards work exactly like any other credit card. However, because you have limited or negative credit, the issuer will require you to ‘secure’ the line of credit by putting cash into an account associated with the credit card. By doing this they reduce their risk as a lender. For example, let’s say you want to get a credit card with a $1,000 limit. You would take $1,000 of your own money and put it into an account with the bank or card issuer that you are getting the credit card through. Unlike a debit card, when you make purchases the $1,000 you used to secure the card remains intact and you pay your credit card bill each month just like you would with any other credit card. Only in the event that you become delinquent on the credit card will the bank or card issuer use the money you put aside to pay the balance. You will get all of your money back unless your bank or card issuer has to use the money you put up for the card to pay the balance because you failed to pay. Secured cards are usually ‘graduated’ into unsecured lines of credit once the bank feels confident that you will make consistent and on time payments to your balance. There is no set amount of time, but it can range anywhere from six to twelve months (or sometimes longer). Each customer and card issuer are different. 1. Lower Interest Rate – For individuals with low or limited credit scores, you can expect an unsecured credit card’s interest rate to be upwards of 24%. Many secured credit cards have much lower interests rates since you’re securing them with cash. 2. Increased Chance for Approval – Although there is no guarantee that you will be approved for a secured card, the chances of getting approved for a secured card are very high. 3. Build Your Credit – Unlike pre-paid debit cards, secured credit cards will help improve your credit score if you make your payments on-time and are responsible. 4. Convert to an Unsecured Card – After a certain amount of on time payments you will get your original balance back and have a full unsecured line of credit.